While Apple wasn't specifically mentioned in Intel's keynote, which focused mainly on the chip maker's push into smartphones and Ultrabooks, the processors outlined on Monday will likely be powering the MacBook lineup later this year. 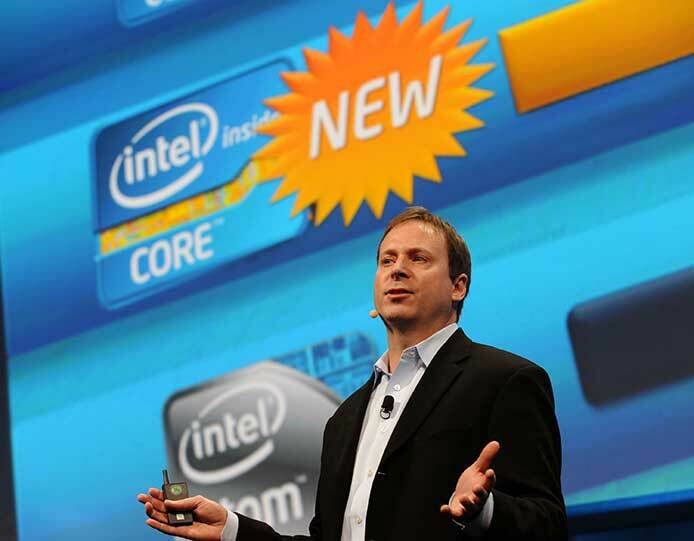 According to the head of Intel's PC client group, Kirk Skaugen, the fourth-gen Core family of processors are the first to be designed specifically for the Ultrabook initiative. The new silicon is said to bring the most significant battery life improvement in Intel history, with laptops using the CPUs boasting 9 to 13 hours of continuous on-the-go use. Intel is making a strong push for touch capabilities in this year's thin-and-light lineup, requiring OEMs to include the functionality in return for "Ultrabook" branding. The company is also mandating that Ultrabook manufacturers incorporate Intel Wireless Display technology into 2013 machines, allowing users to view digital content on an HDTV. As Apple does not participate in the Ultrabook initiative, a category believed to be a response to the MacBook Air, the Cupertino, Calif., company is not required to incorporate touchscreen tech into its laptop products. There have been no reports pointing toward multitouch capable MacBooks and industry sources claim Apple will merely debut refreshed units in June with existing designs.